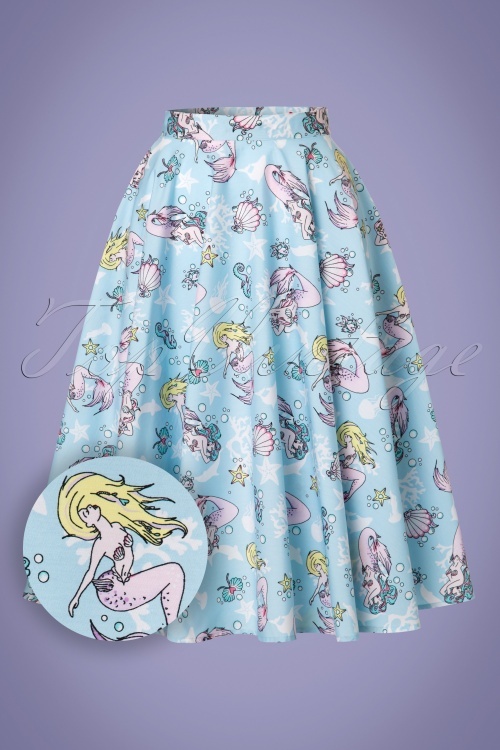 Be a beautiful mermaid in this 50s Andrina Mermaid Swing Skirt! 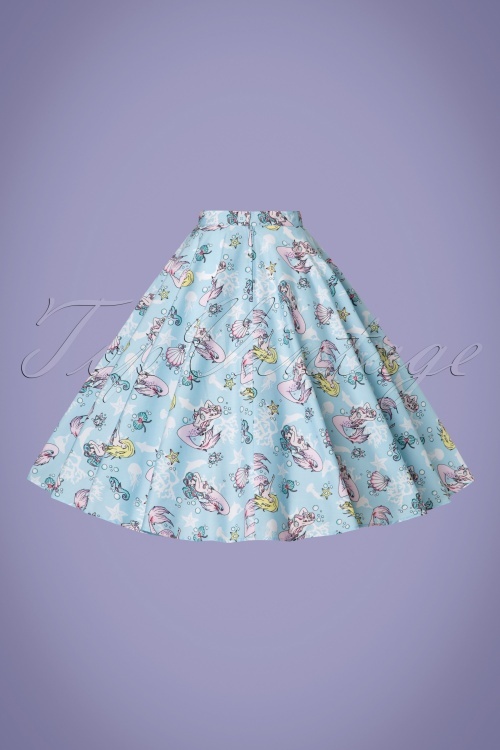 "Under the sea, under the sea, darling it's better, down where it's wetter, take it from me".... the most gorgeous creatures live in the ocean ;-) This cutie is worn high in the waist from where it runs into a happy, flowy swing skirt. Breathtakingly beautiful ánd practical thanks to the side pockets. 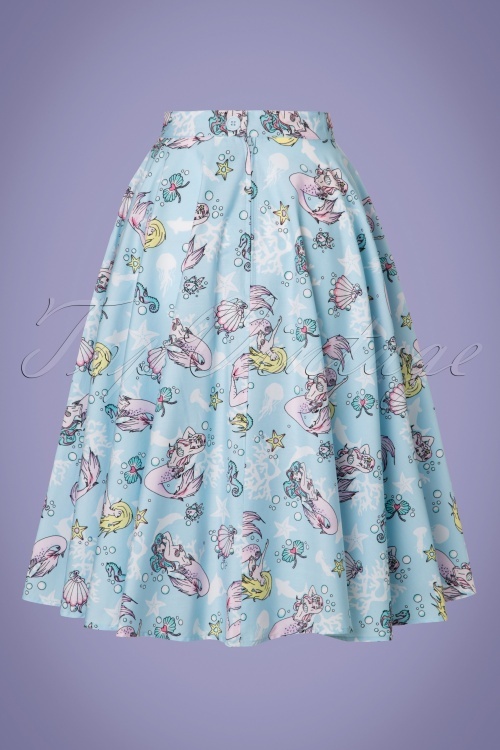 Made from sturdy yet breezy pastel blue cotton (doesn't stretch!) 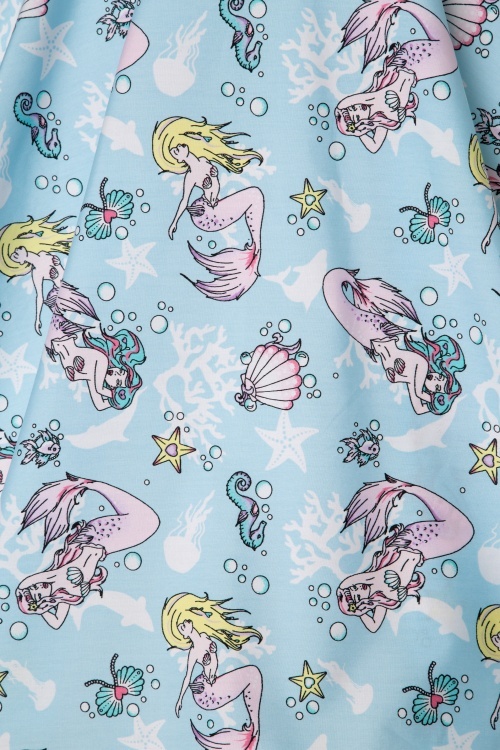 with a fabulous mermaid print. 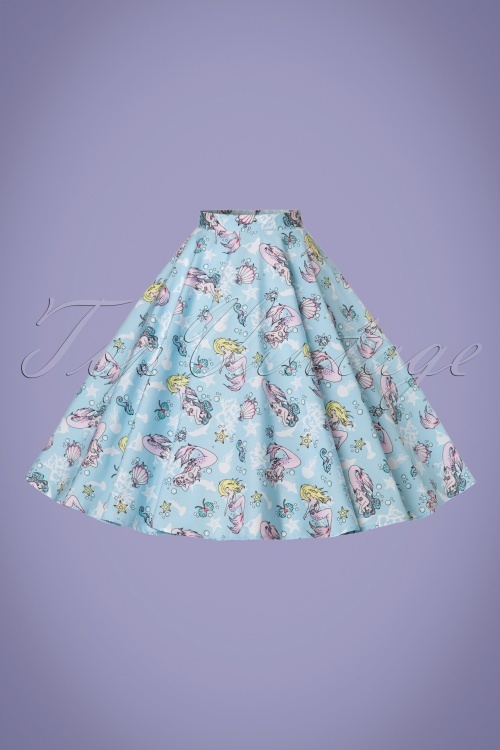 You'll feel like a real girly girl when wearing this MER-MAZING skirt! Beide Röcke sitzen perfekt Sitzt und sind auch supersüß mit einem Petticoat. Schönes Stoff und die Taschen sind der Höhepunkt. Klasse Länge auch bei 1,80 m. Schnelle Lieferung. Een grappige print. Staat heel mooi, maakt niet breed. Mooie lengte. Weer goed geslaagd! So pretty on! My students all admired the mermaids. Cool and comfortable, unique pattern. Happy I bought it.